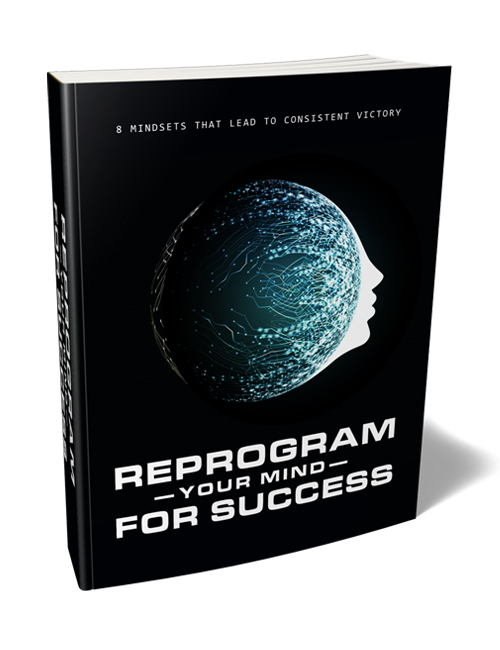 Reprogram Your Mind For Success – 8 Mindsets That Lead To Consistent Victory is a powerful guide that steers you in the right direction to help you achieve the things you desire to. You dream of being successful in your life but without the right mindset, it may as well be worlds away. To be successful, you need to change your way of thinking into that of a winner. You need to adopt an optimistic attitude, get laser focused and see only the things that will help you achieve success. That’s how successful people have done it and it’s why it works so well. Things don’t just happen by chance outside of the lottery. Everything needs to be earned which means you need to put in the work to get the rewards. With this guide, you will discover the importance of believing in yourself, how to implement the 8 crucial mindsets for success, and how to clear your mind of all the negative stuff. You’ll also learn how to detox your mind to create a new mindset, how to welcome the potential for failure and staying focused, how to work hard towards your goals and much more. The mindset of a successful person, be it a business-person, an entrepreneur, or an athlete takes a lot of focus, motivation, determination, optimism, and the ability to take bumps on the road and continue moving forward with a purpose. Not everything always goes to plan which is why you need to have that winner’s mindset to not sway from your goal or give up midway. It’s within you to achieve what you want. It depends entirely on what you’re willing to sacrifice to get there. This guide will help you in a big way. You can also get the Reprogram Your Mind Video Course with it. Get it all now.